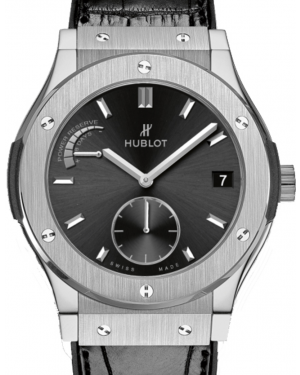 The Hublot Classic Fusion lives up to its name by mixing vintage watch-making principles with more contemporary design elements. 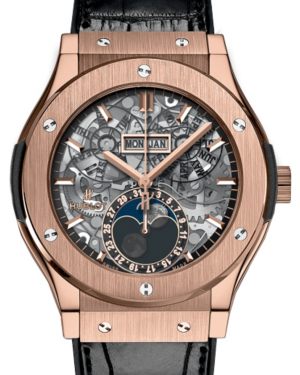 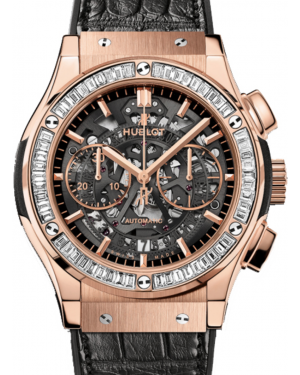 Fusing a range of materials, including gold, platinum, titanium and diamonds, the manufacturer has nevertheless managed to create a coherent collection, which expands upon the Big Bang concept. 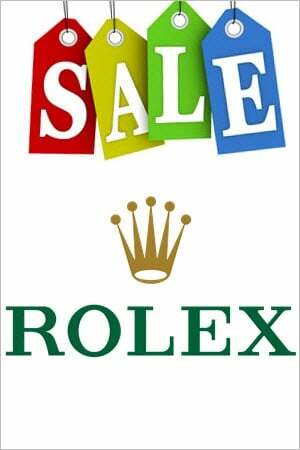 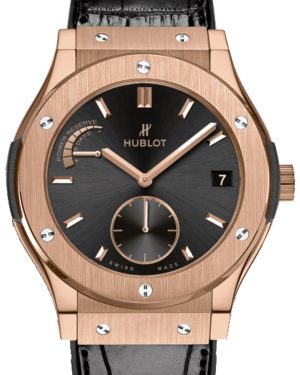 Visually, the watches are defined by their traditional lines, round case shapes and fixed bezels, while a variety of design styles are available, from the conservative to the extravagant. 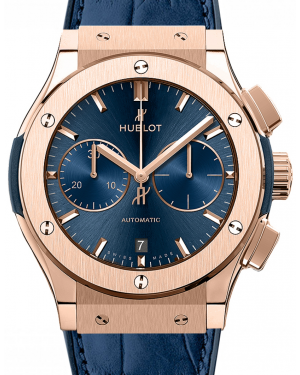 The timepieces come in sizes ranging from 33mm to 45mm, and all Classic Fusion models have a date display window at the 3 o'clock position. 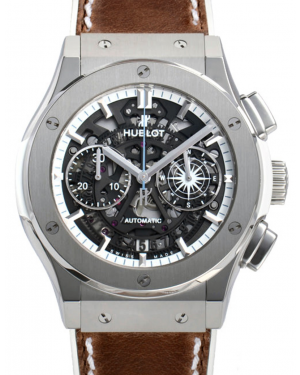 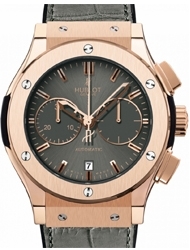 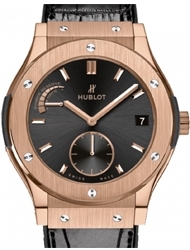 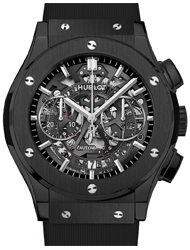 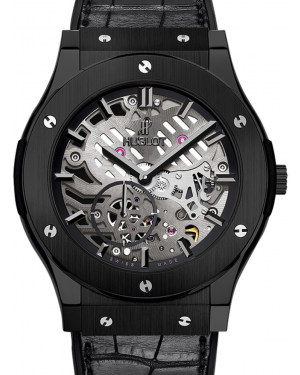 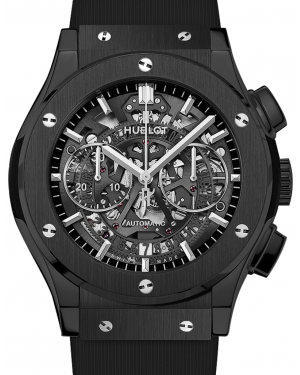 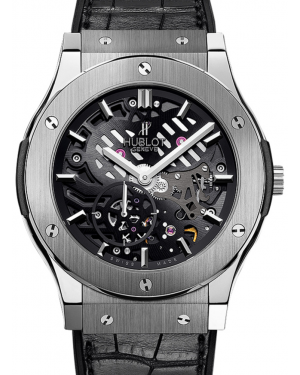 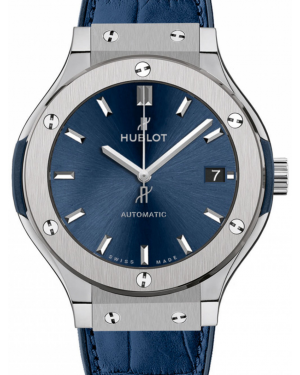 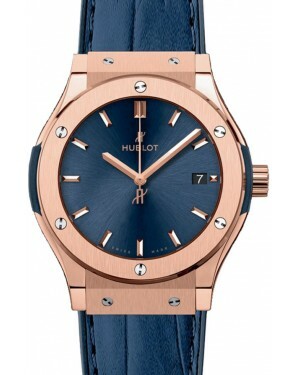 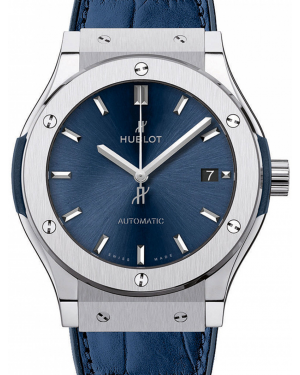 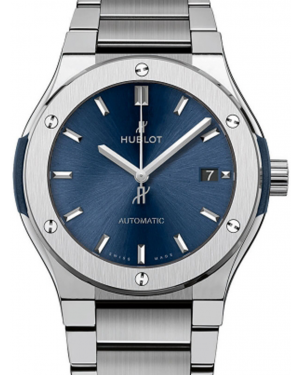 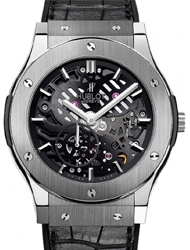 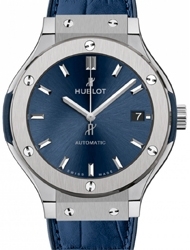 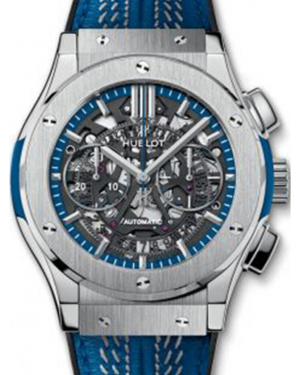 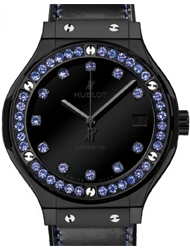 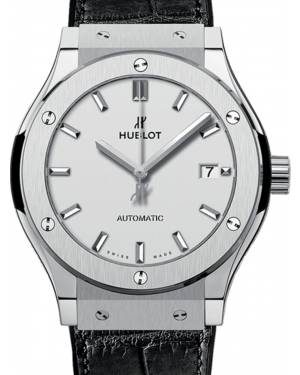 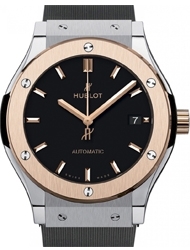 With its perfect combination of classic values and modern design features, your Hublot Classic Fusion has near universal appeal and will be able to attract the attention of traditionalists and fashionistas simultaneously.